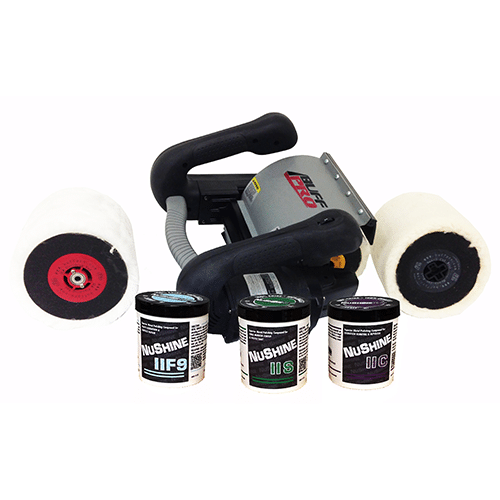 The BuffPro Polisher is a revolution in professional polishing offering a true swirl-free finish. 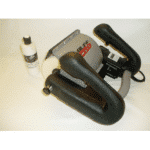 Not only does the polisher not produce swirl marks, it can even remove swirls made by conventional rotary buffers. 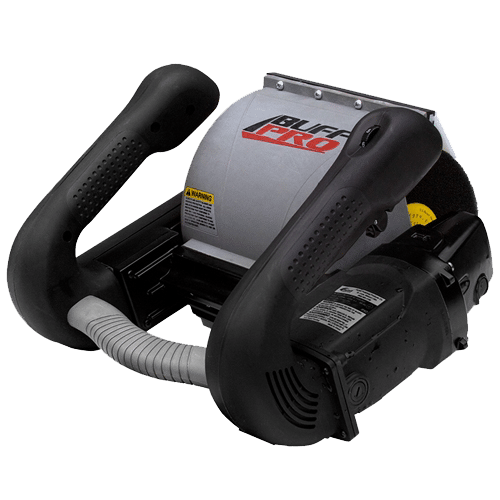 This is a tool that can buff and polish just about any surface in half the time of conventional rotating disk buffers. Our axial cylinder design means that compound stays under the buffing pad, while conventional buffers fling it off to other areas. The larger pad means that you can get better performance at much lower RPMs. We offer four high quality pads that work with the widest range of compounds to cut, polish, buff and finish to the highest shine possible. BuffPro Axial Polishers and Pads are designed for all-day use by professionals. 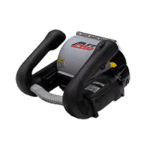 Dual pistol grip handles, variable speed controls, a durable drive motor and a quick release pad spindle mean you can concentrate on your work not on your tools. And the low RPMs mean that its safe to use for the most novice detailer. 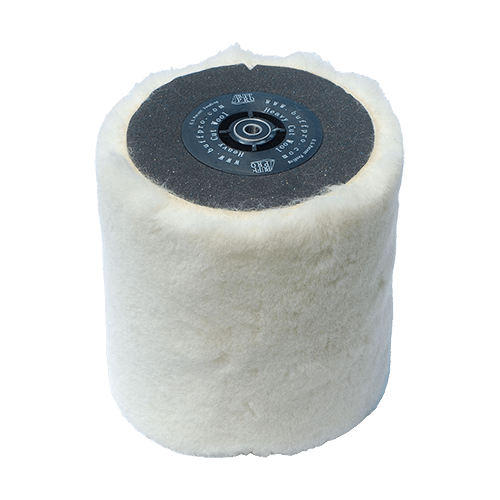 The Polishing Wool Pad for BuffPro Model JF180 Axial Polisher, is fine wool material over a foam pad that works with your milder polishing compounds to provide unparalleled polishing and finishing results. The compound stays where the work is being done so you can finish all of your work quickly and uniformly. 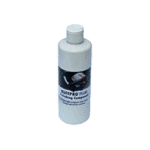 We recommend the BuffPro Polishing Wool Pad with polishing compounds for light scratches, haze, minor imperfections, and oxidation removal on metal, gelcoat or painted surfaces. 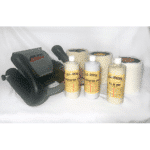 This pad can also be used on stone, fully-cured primed or painted metal, and soft body compounds. 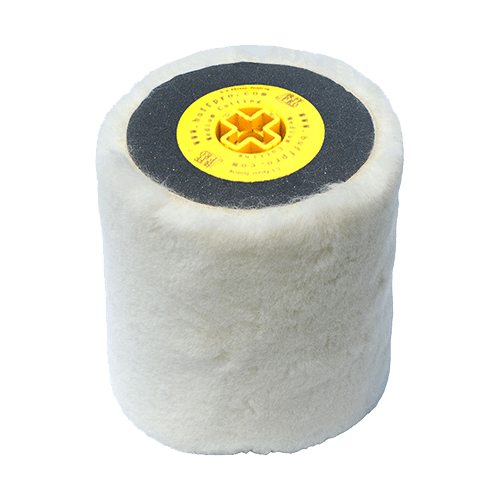 The Polishing Wool pad brings raw metal to a high-gloss finish. 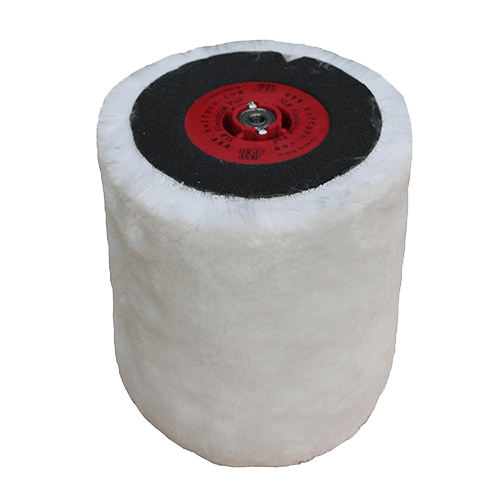 The SLW Finishing Pad for BuffPro Model JF180 Axial Polisher, is a synthetic lambs wool material over a foam pad that works with your mildest finishing compounds to provide unparalleled final finishing results. 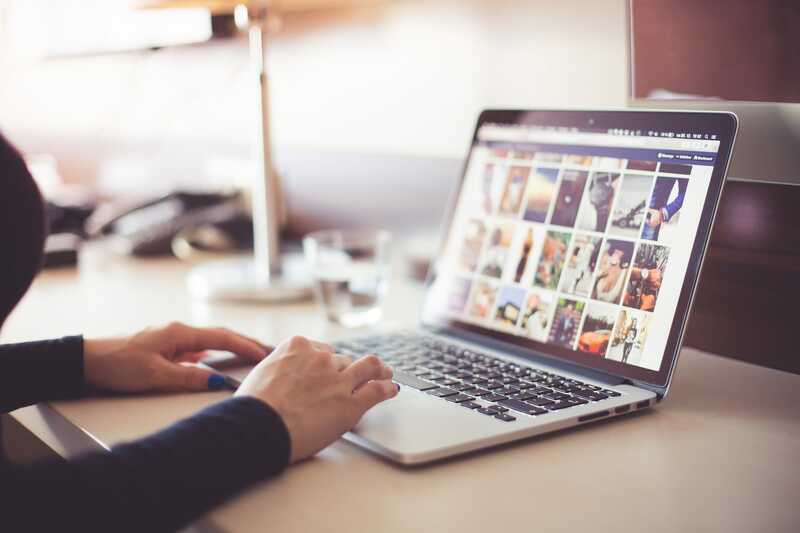 The compound stays where the work is being done so you can finish all of your work quickly and uniformly. 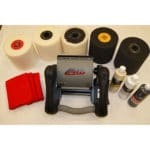 We recommend the BuffPro SLW Finishing Pad for final metal polishing, glazing or as a one-step wax cleaner. This pad can also be used on stone, fully-cured primed or painted metal, soft body compounds, maintenance on gel coat, finishing work. The SLW Finishing pad brings metal to a high-gloss mirror like shine. 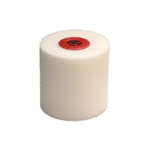 The Heavy Cutting Wool Pad for BuffPro Model JF180 Axial Polisher is a fine wool material over a foam pad that works with your most aggressive compounds to provide unparalleled cutting power. The compound stays where the work is being done and that you even out your roughest areas quickly and uniformly. 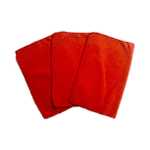 We recommend the BuffPro Heavy Cut Wool Pad for use with your heaviest compound to remove swirl marks left by high speed buffers or orbital polishers, scratches, heavy oxidation, paint or 1500 grit wet sanding. Headlights can easily be restored using this pad and the BuffPro Amber Medium Correction Compound. 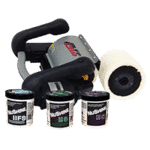 The pad can also be used on stone, raw metal, fiberglass, gel coat repairs, pre-finishing prep work and polished concrete. Heavy Cutting compound, for Clad or Non-Clad Aluminum, Forged or Cast Parts. Also used where the aluminum surface has been damaged by stripping processes of paint, sanded or scratched by abrasive cloth. 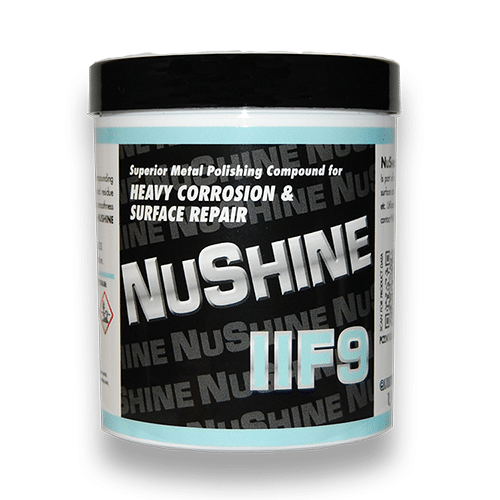 Used as a preparation step to using Grade C for further surface preparation, before final finishing with Grade S. GradeF9 also polishes Titanium. 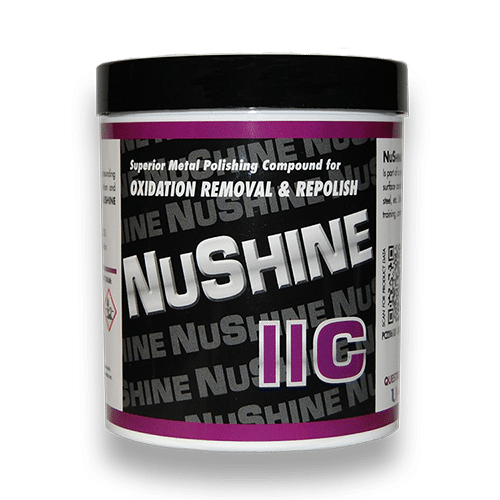 A metal cutting grade compound for light scratch and light oxidation removal. Used as a preparation step to using Grade S. Use Grade C to begin polishing on clad aluminum that has never been polished. Will also remove the cloudy/hazy white background found in many otherwise good polish finishes. 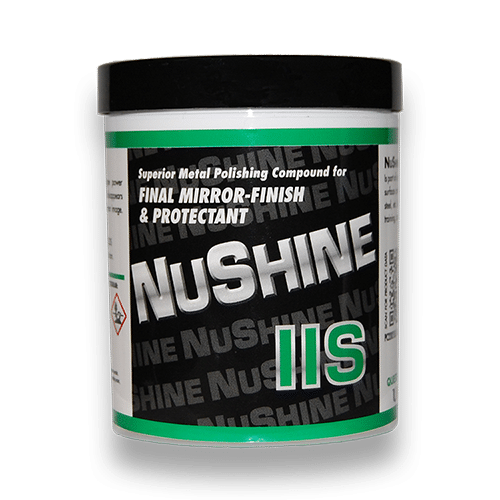 A metal finishing grade compound that gives a very deep, clear image when used as a final finish over a properly prepared, oxidation-free surface.